It's official. I can't stop wearing these boots, I'm hooked! 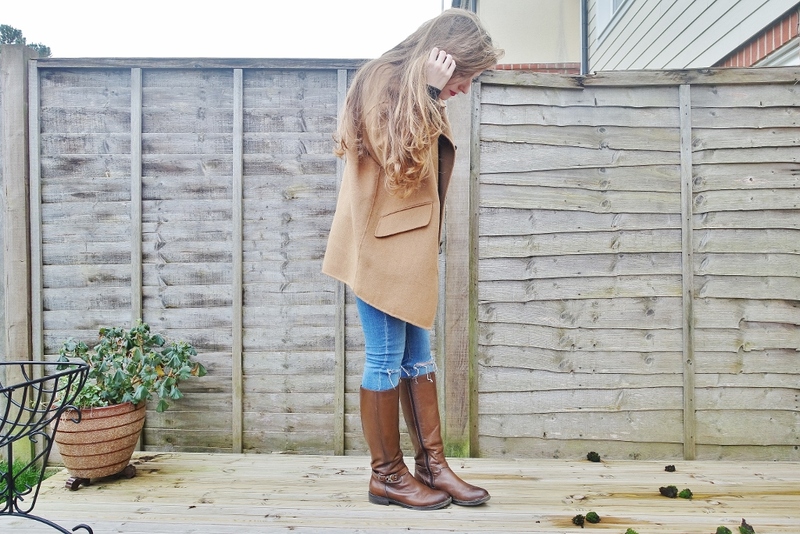 Add a stylish staple to your footwear wardrobe with these brown leather riding boots, a sneaky find from TU Clothing at Sainsbury's. I spotted these just before my birthday so was quick to add these to my wishlist. What drew me to these beautiful boots was the fact they are crafted in leather and will only set you back by £55. 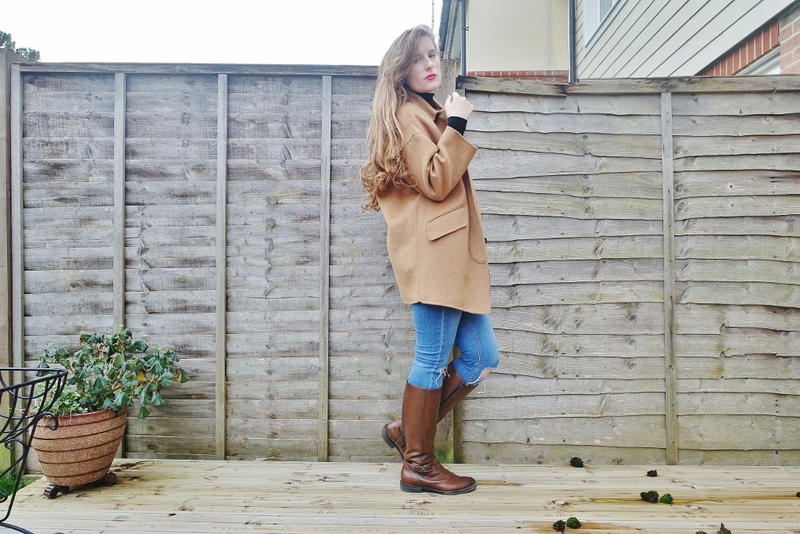 My favourite feature is the elasticated panel at the back - not only for ease of wear and comfort, this adds to the traditional countryside 'riding-boot' style I was looking for. The silver buckle adds a classic finish to the design. I know this is a staple I'll be wearing season's through and through. Oh how a versatile shoe can make a woman so happy! 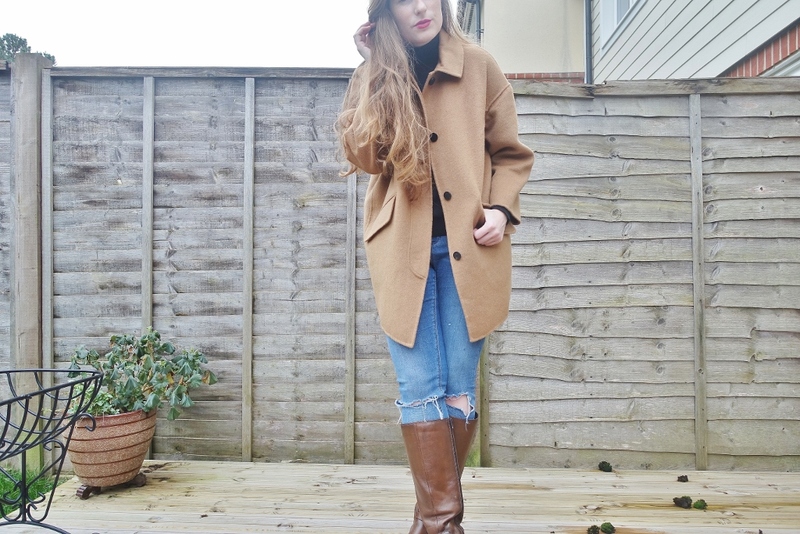 Another birthday treat was this woolen camel coat from Zara. This is completely handmade, with a cocoon cut and shirt collar. The buttons are oversized and by the dozen. Staying true to the classic Zara style - making a simple design, so effortless and so desirable. I've pretty much fallen in love with every polo neck and knitwear item available on the Zara website. Uhoh.. 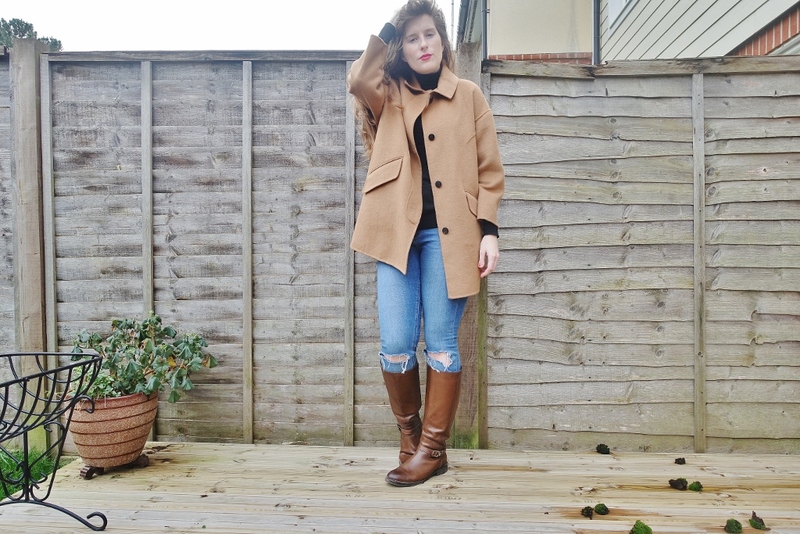 Here's another casual look where I'm styling ASOS ripped denim jeans. Oh that coat is the stuff of dreams. And I can't believe those boots are Sainsbergs, good effort.